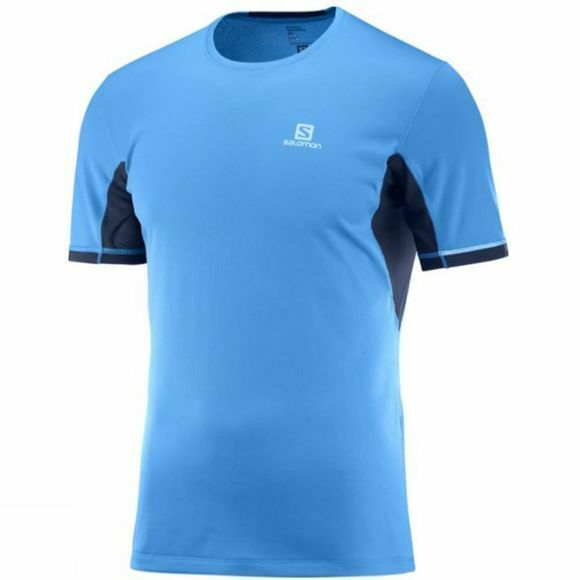 The Mens Agile + Short Sleeve T-Shirt from Salomon discreetly delivers technical performance with a low-key look. Strategically placed mesh keeps you ventilated and minimal stitching feels better against your skin. This shirt feels good over long distances so you can push it when you're running, hiking or biking. Visibility - Reflective details ensure visibility day and night.